Extreme cold is decreasing, as the lowest temperature observed each year is trending upward. For many locations in the U.S., middle-to-late January is climatologically the coldest time of the year. 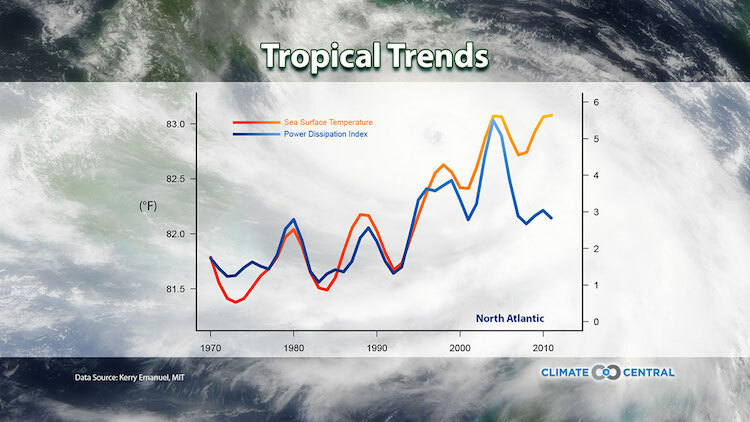 But extreme cold is on the decline as the world warms from increasing greenhouse gases from the burning of fossil fuels. This week’s analysis examines the coldest night each year in these cities. 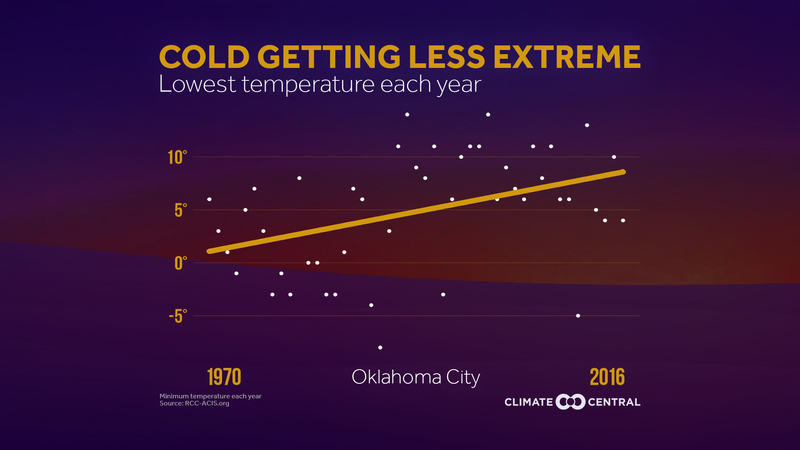 Even though we will continue to see cold outbreaks in a warming world, the trend in the vast majority of the cities analyzed shows that these extreme cold nights are happening less often. 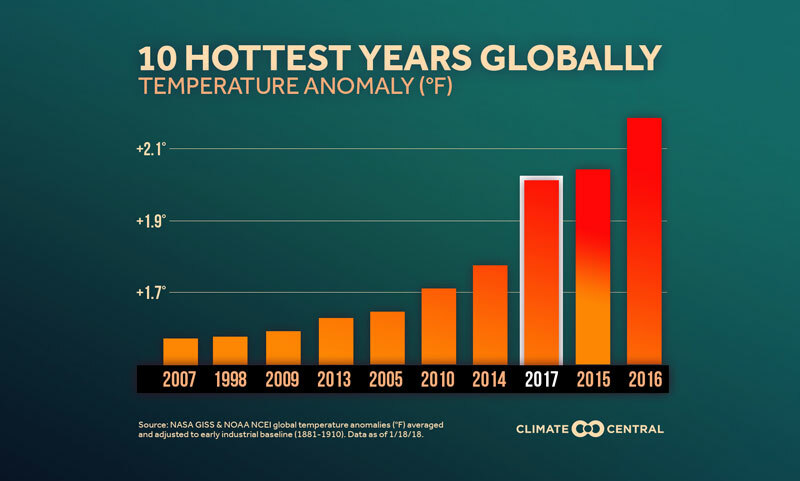 Conversely, as cold extremes continue to become fewer and less intense, hot extremes become stronger and more frequent. 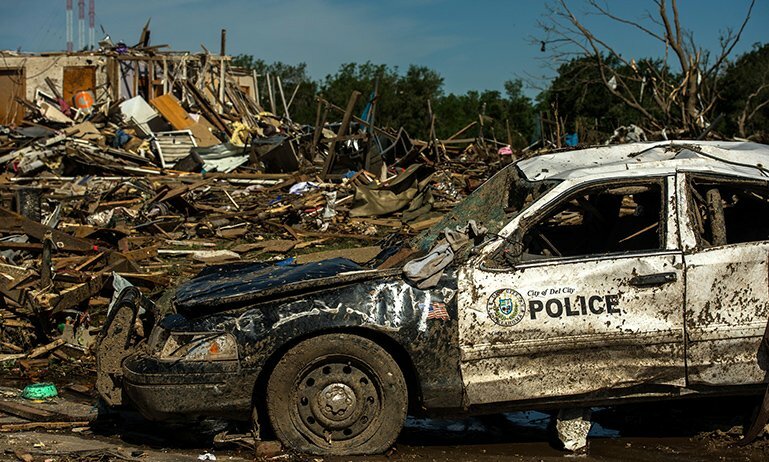 Last year was the second hottest on record in the U.S. 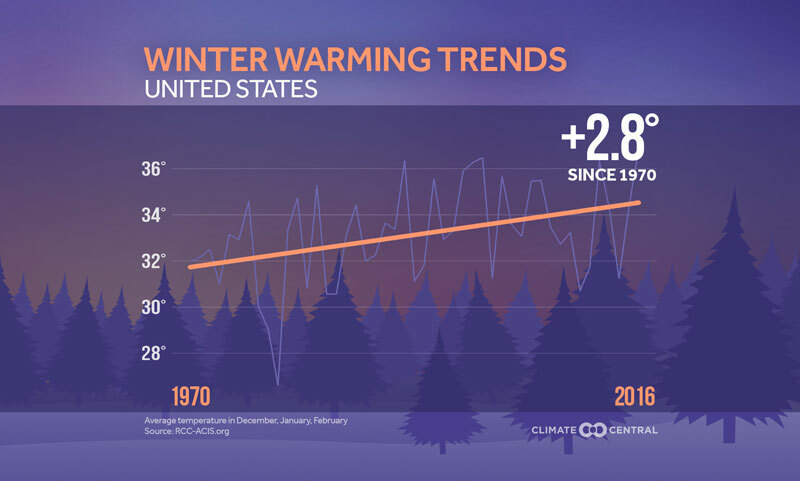 But the annual average minimum temperature in the U.S. was the highest on record — 3.09°F above the 20th century average (40.04°F). The last time that temperature was below the 20th century average was 1993. And in 2016 the number of daily record high minimum temperatures outnumbered record low minimum temperatures 7-to-1. 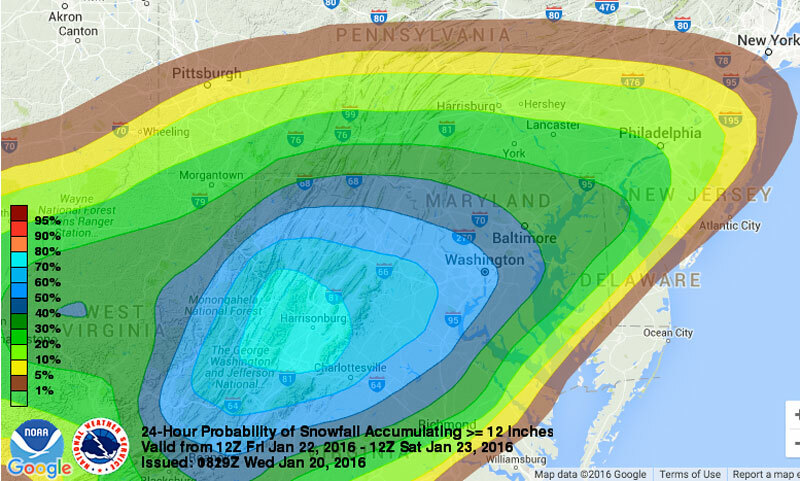 The decrease in winter cold effectively makes the winter shorter. While that might sound good at first, it comes with consequences for recreation, farming, and the environment. 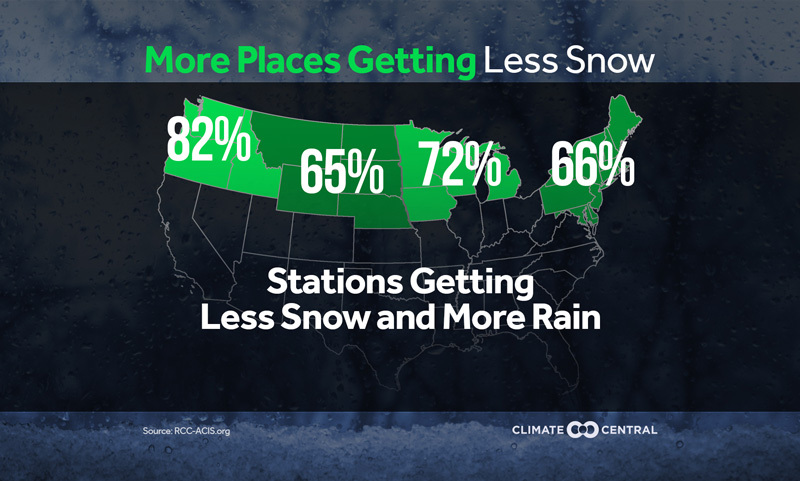 In colder climates, winter-based recreational activities, like skiing, ice fishing, and snowmobiling will become less prevalent. More disease-carrying insects, like mosquitoes and ticks, will survive through a milder winter. Declining snow pack leads to lower reservoir levels, providing less water for irrigation of crops. Fruit trees, which need to become dormant in the winter to blossom in the spring, may produce smaller yields. Pollen counts will rise, which can trigger respiratory illnesses for allergy sufferers. 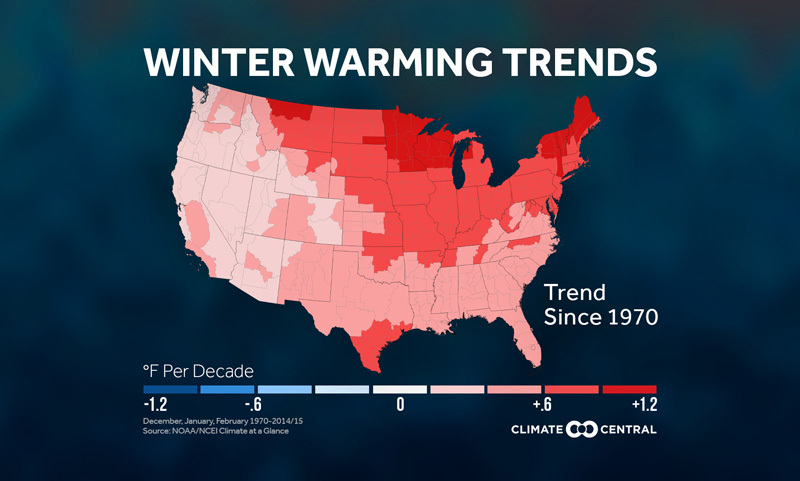 Winter Warming Trends in the U.S.